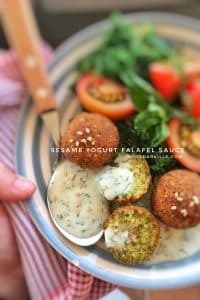 Looking for a homemade falafel sauce then? Try out my simple yogurt falafel sauce with sesame oil: the best falafel diping sauce ever! 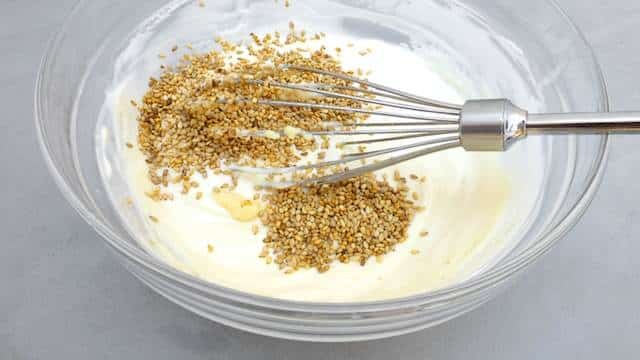 Pour the plain yogurt in a medium mixing bowl and then add the garlic paste and the (toasted) sesame oil. Give the yogurt a good stir. Then add the sesame seeds. Stir again. Rinse and dry the fresh mint and chop it up very finely. 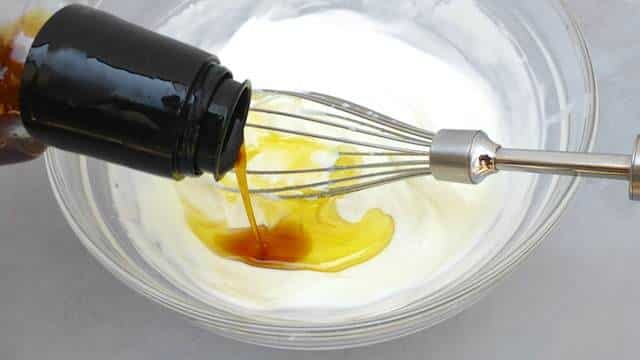 Add this to the yogurt. Stir again. 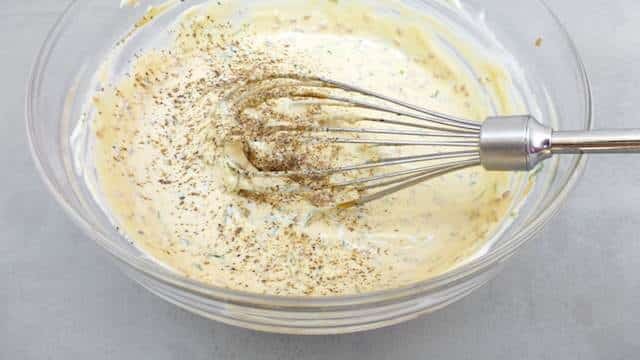 Season the yogurt sauce with a pinch of pepper and salt. Add the lemon juice as well. Stir the sauce well. Then trim and clean the spring onions. 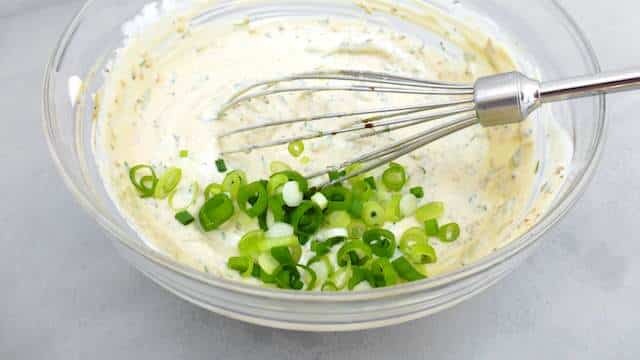 Slice them up very finely as well and add this to the yogurt. Stir well again. Check the seasoning of the sauce and add extra garlic paste, lemon juice, sesame oil, pepper or salt to taste if necessary. Then put the sauce in the fridge for 10 minutes to chill. 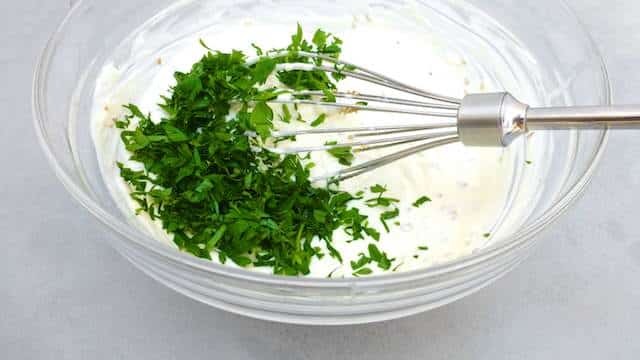 Right before serving give the sauce one last good stir (the yogurt can be a little watery after chilling) and garnish with extra sesame seeds and chopped mint. Serve cold.